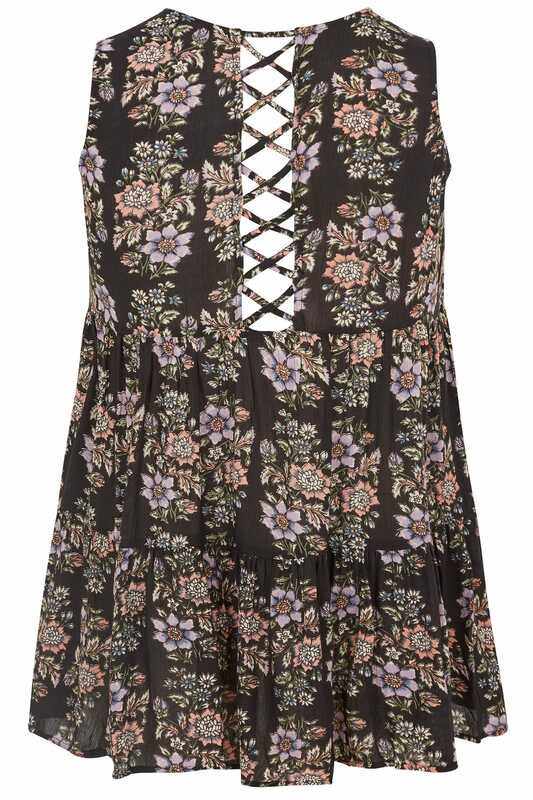 Channel boho chic in this woven floral top. Lightweight and feminine in shape, it features a hook and eye close to the chest and contemporary lattice detail to the back. 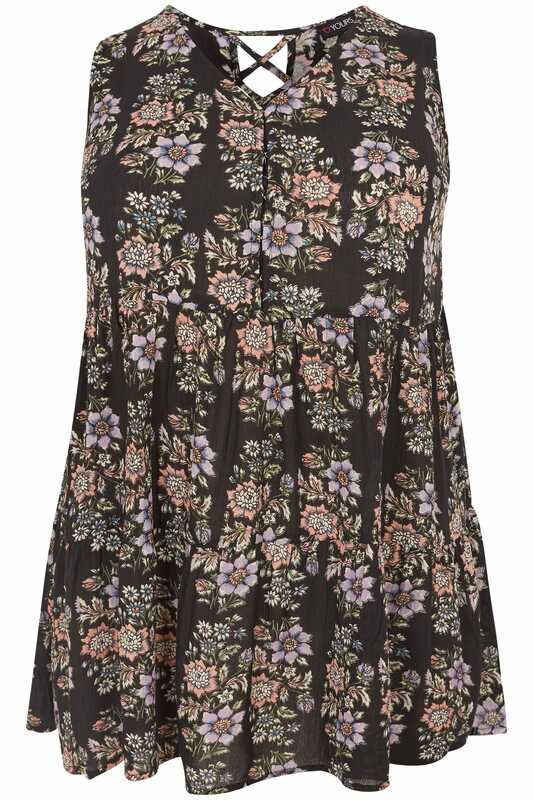 Great for weekend dressing, team with your favourite denim and pumps for a stylish off-duty look.